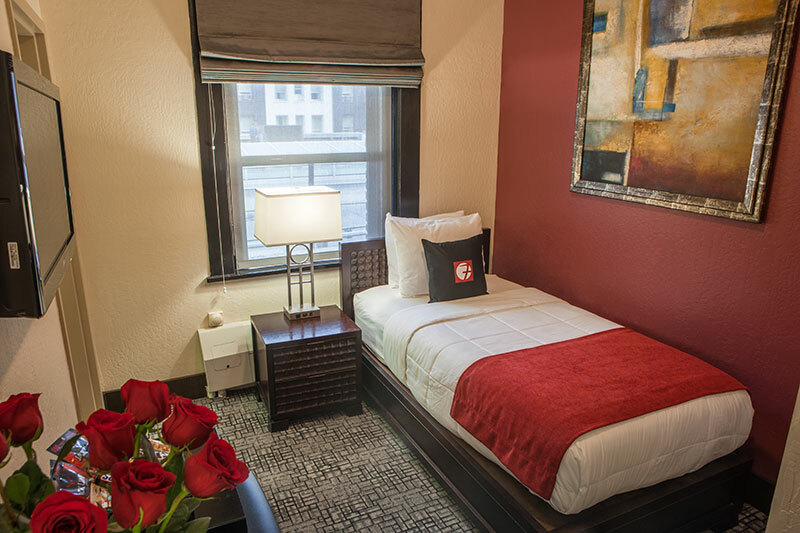 Hotel Fusion offers 12 single room occupancy units for residents requiring a stay of 7 nights or more. These rooms offer one single twin size bed and similar amenities as our tourist guestrooms with rates starting at $550 per week plus tax (subject to change and based on availability). Maximum occupancy of one adult and minimum length of stay of 7 nights or more. Coffee Station, In-Room Safe, Hairdryer, Mini-Fridge with Beverages, Snack Tray, Iron & Ironing Board, Telephone service with Voicemail, Complimentary USA Today Newspaper delivered upon request and Express Checkout Service.